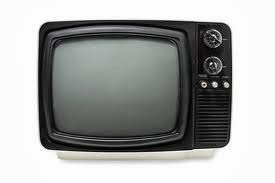 Looking back at tv in 2011, its clear that it was the worst year of all time for television in this country. So many reasons for this, one of which was the Aussie entertainment tv that appeared. Who watches the likes of Hamish & Hamish? Who are these shows aimed at? Does anyone think they’re funny or informative? If there is one thing we need on tv, its news that isn't hysterical, sensationalised and grossly inaccurate. I did have faint hope for the 7pm Project, but rather than report any news, the show just followed the Rove school of interviews, and gave the hopeful viewer nothing. All Rove interviews (and those of his proteges) follow the same script where the interviewer asks a question, listens to the answer, and then ignores any new conversational direction which may open up, and instead goes back to the pre-written list of inane questions. "Sooo, umm, do you like being a celebrity?" To make it worse, the 7pm Project is full of self promoting channel 10 stable celebrities. Bickmore just speaks incessantly about her child (no one cares Bickmore), Hughesy’s go-to is his unemployed bum back-story, but it’s just not believable anymore, and the other guy is so pious and condescending that I don’t know his name. Another of Rove’s protege's, Hamish & Hamish provided one of the lowlights of Aussie tv in 2011. Their ‘Gap Year’ talk show program dug new depths of bad, and goes to show that it doesn’t matter if you’re in New York or Newcastle, no talent is no talent. As expected, these two ‘loveable larrikins’ (geez we Aussies love our loveable larrikins) used every outdated Aussie stereotype to try get a laugh (surely they wheeled out the old “can’t believe those silly yanks don’t like Vegemite” hilarity at some stage), while throwing backhanders at the unwitting Americans they encountered. Like we don’t have rednecks in Australia! As per Rove’s teachings, all interviews were uniformed, childish, and lightweight. And as is standard, Hamish & Hamish’s senseless jokes only got a laugh out of themselves, and belong more at the school assembly than on tv. 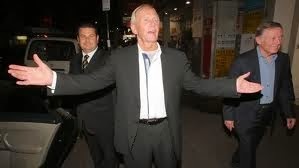 "Hamish, no one is laughing any more"
"Shuutuuup or channel 9 will can us"
One of the worst things to return to tv was a repeat of the Paul Hogan Show. Hot off the heels of Crocodile Dundee’s stellar performance in Australia’s brilliant World Cup video, some bright spark decided to wheel out the old Paul Hogan show from the 1970s. Surely the world hasn’t changed much since 70’s? Racism, sexism, and being a stupid backward Australian are still funny right? We haven’t grown since then? More recently we had seen Hoges under investigation for tax evasion, but surely we still love him, after all, he’s the original Loveable Larrikin! I pray the tapes of this awful show were taken by the Taxman, never to pollute the airwaves again. "Pay tax? But I'm Hoges!" But that’s not the first time there’s been misguided nostalgia for the good old days of Aussie tv. A few years back, to no one’s delight, Hey Hey its Saturday made its unwanted (but inevitable) return. This was music to the ears of Wilbur Wilde and Russell Gilbert who can normally be seen performing at train stations for loose change. The legacy of this show was the deliciously awkward moment when Harry Connick Jr was offended by an outdated and racist act on the show. Unsurprisingly, this return to the glory days was rubbish, and Hey Hey silently slipped away into the abyss of Australian television failure. Please, someone, plug the abyss so no more relics can find their way out, I can see Rhonda Burchmore coming!